Cruise West provides a more casual experience than other cruise lines, with a focus on an "up close and personal" touch using smaller ships. This appeals to the more adventurous traveler who cares more about the destination than about dressing up for dinner and dancing. 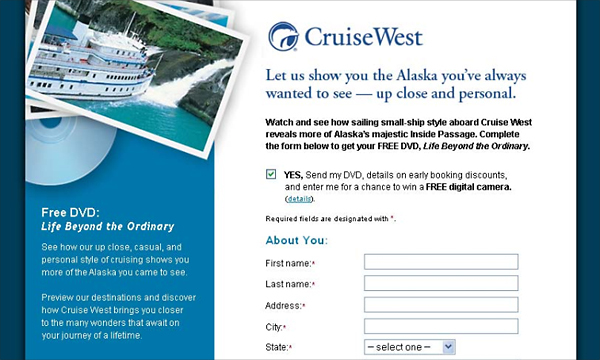 This microsite supported both direct mail and online lead generation, offering a free DVD and the chance to win a digital camera. 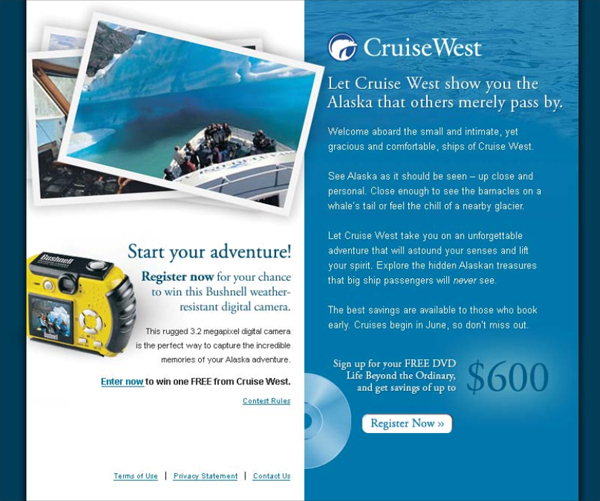 The copy and design present Alaska as destination best experienced aboard a small ship, which can bring visitors closer to wildlife, glaciers, and more. See excepts below, or all site pages in this PDF.